Approximate Measurements: 8.5" long, 3.75" wide, 3" deep. Place soap loaf made with Crafter’s Choice Regular Silicone Loaf Mold, Crafter’s Choice Short Loaf Silicone Mold, or Crafter’s Choice Honeycomb Loaf Silicone Mold into mitre box. Push and hold soap loaf against upright metal side. Slice soap by using straight or wavy cutter and utilizing notches in mitre box. Once sliced, remove sliced soap bar and push remaining loaf against metal side. Repeat until loaf has been cut into desired amount of bars. COMMENTS: This was my first cutter. Worked well. COMMENTS: This is ok, if you have nothing else. I originally bought to cut my MP soap but the knife slot is way to thin and I can not get my knife in it. You can not use a cutter either because if the soap is to tall the handle hits the soap and will no go through to the bottom of the box. It would be great if they just made the slot wider. I have not been able to use since purchasing. COMMENTS: I had a chance to try this at the Handmade Conference and came home to order one. It is soooo much easier to use than the cheap, plastic mitre box I bought at the hardware store. With WSPs mitre box I can now cut straight bars that are ALL THE SAME SIZE! No more having to answer "why is this bar a different thickness than the other ones." COMMENTS: I measured twice and cut once and still my bars of soap were uneven. Then I decided to bite the bullet and buy this miter box and it has made all the difference in the world. Now my soaps are nice and uniform in size. Easy to use! A must have! 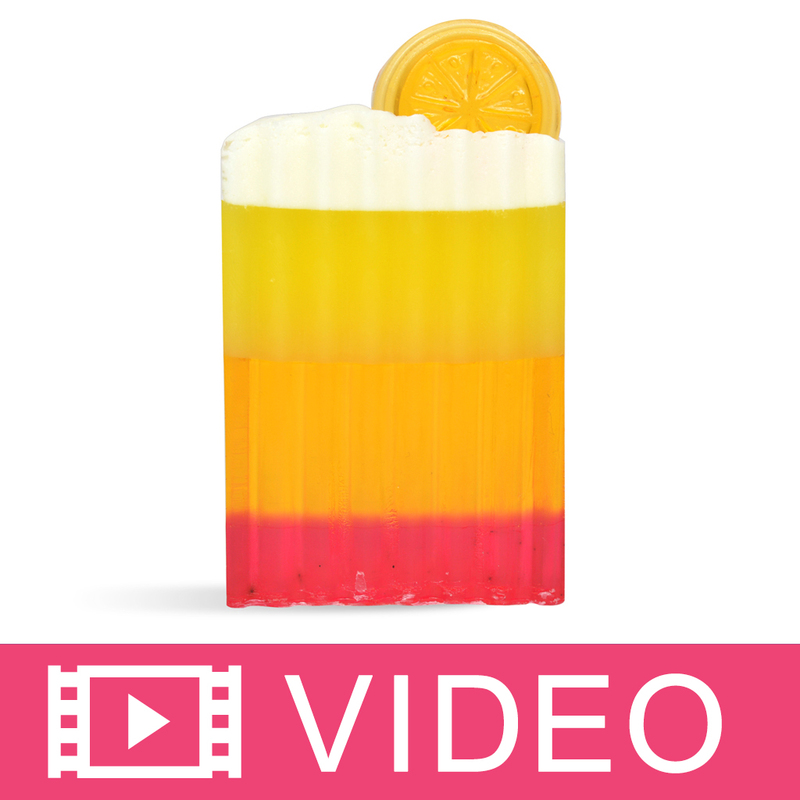 COMMENTS: I like using this with the wavy soap cutter... this is great for a beginner like me. COMMENTS: I am terrible at cutting soap evenly. This made a huge difference - even cut, same size every time. Most bars cure around 4.5oz. Highly recommend! COMMENTS: This cutter is a good cutter. It does just what it was meant to do and I think it is better in stainless steel. And the Price is wonderful. "If you are a MP soaper, you NEED this!" COMMENTS: This cutter is excellent. I used to cut my soaps the "old-fashioned" way. You know, measuring the loaf, placing score marks at every inch, and using a huge kitchen knife to cut the soap. Even after all of that prep, my soaps were still crooked as all get out. This Mitre box saves time because it does the measuring for you. Granted it only cuts 1" bars but that's exactly the width of all of my bars. This box cuts EVERY SINGLE bar of soap evenly. I have not had a problem with it yet. I do use a loaf cutter to assist with the cut. I can't believe I've waited this long to get this. COMMENTS: It was okay for my first cutter, but it does not cut them as exactly as I would like and hard to get the soap out after you cut. I usually have to take the whole loaf out just to get the cut then repeat. It's not bad for home use. COMMENTS: My mitre box gave me problems and ruined a few bars of soap. The end part is not at 90 degrees to the sides, and it causes the bars that are cut to be crooked. I was so excited, but now disappointed. • Make sure it is 100% square!! COMMENTS: I haven't actually used this yet, but it seems to be a high quality, sturdy metal. "Loaf Mitre Box - Soap Cutting"
COMMENTS: Durable and high quality steel. Guarantees a straight consistent hand cut soap bar. Works wonderfully with the straight and wavy cutters. COMMENTS: This is wonderful. Works great in conjunction with the hand cutter sold here at WSP. My cuts are straight everytime! COMMENTS: Love this cutter box. Works great with straight and wavy cutters. Saves time and heartache. COMMENTS: It's easy to use and clean and I get uniform soap. COMMENTS: I had to get used to using this mitre box. The slot is a little bit wider than the cutter so there's still a chance that you get your soap cut at an angle. I've found that the moment your soap is ready to unmold and cut is best when using the mitre box as opposed to waiting. COMMENTS: I've only used this mitre box once. I may like it better after a bit more practice. I used it to cut a loaf of Melt and Pour soap I made in the CC regular loaf mold. The loaf fits perfectly, however I found that if I cut the loaf without holding it tight from the backside, it slides towards the end making my bars cut crooked. I don't know if this was just the melt and pour being slippery or if I just need to get better at holding the loaf in place. I also wish it wasn't so hard to get the cut bar out of the mitre box. The loaf needs to be slid back several times in order to remove the first bar. I'm looking forward to using it some more. COMMENTS: I'm new to soap making and this was very helpful in cutting my soaps. I thought it was a little small, but it's sturdy and not flimsy. There were some sharp edges so I had to be careful how to handle it. I wish it were longer and wider to accommodate other sizes. Other than that, it's a good product. • File the sharp edges. COMMENTS: This mitre box is made of stainless steel, and is solid as a rock! While it only allows for cutting one slice of loaf at a time, each slice comes out uniform (1" width). Heavyweight...will not slide around on your cutting surface. COMMENTS: Very handy and easy to use when cutting M&P soap loaves. Good for making straight even cuts and standard sized 1" bars. "Mitre Box for Regular Loaf"
COMMENTS: I bought the Mitre Box so that I could have straight and even-sized bars. It does work well and I do recommend it to others as a great buy. The only issue is that I have a silicone mold that when I pour the soap into it, it bows out in the middle. Although it is NOT supposed do that, I actually like the shape of the soap when it's ready to slice. However, because of this, the loaf does not fit into this Mitre Box because it is a tad too wide. I was wondering if there's a wider box that is available? This is a very well made unit and it is easy to clean and is a good size for most soap loaves. • A little wider one would be great! COMMENTS: This is perfect if you want to cut thick bars of soap. This cuts bars of soap a little to think for me so I just push my loaf out the open end and measure it with my soap cutter and slice against the end metal. Works great. COMMENTS: High quality material. Soap will slide easily to cut. Easy to clean. 100% recommended. Excellent price if you buy this as a kit. COMMENTS: The slots seem to be too wide for cuts to be consistent. One bar will be thick, the next bar thin, the next thick at the top but thin at the bottom, and so on. I've tried both the wavy and straight cutters with it, and the results are the same: a lot of variation from bar to bar, when cutting one block of soap. 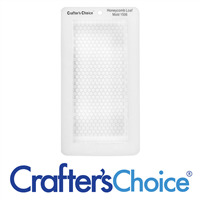 COMMENTS: This is a great product for cutting perfect bars of soap made in loaf molds. "Mitre Box - For CC Regular Loaf"
COMMENTS: Purchased this and cut lots of soap on it. Very sturdy make, and makes cutting so much easier. Washes and dries well, long lasting product. Id like to see this made a little longer, and sharp edges buffed a little as I cut my finger! Id still purchase this product again tho and recommend it for sure! COMMENTS: This mitre box is super useful! I love that all my soap bars are now even. The one thing that I would suggest as an improvement would be to have another slot for 2 inches. Right now I can only cute the soap at 1 inch. I wish it was possible for me to choose between 1 inch versus 2 inches. "Mitre Box Soap Cutter Guide"
COMMENTS: I bought this item to help with cutting more even bars and it works okay, but I find that the bars are not as perfectly even as they would be with a multi-bar soap cutter. However, it works well enough with smaller batches of soap, and one advantage is that you can use the wavy/crinkle cutter with it, to make crinkle-cut soap bars. COMMENTS: This box makes cutting soap so easy. I love the fact the bars weigh the same and have the same thickness. COMMENTS: This is so helpful in making sure each cut is a uniform size. Just a wonderful product and I wish I owned more. "Works Great with WSP Loaf"
COMMENTS: This is the best tool for making equal sized cuts. WSP silicone loaf mold makes soap that fits perfectly. COMMENTS: I use this when cutting my melt and pour soaps. It makes perfect even bars of soap! Highly recommend! COMMENTS: I use this to cut my soap loaves into perfect-sized slices. COMMENTS: I received my mitre box and wasn't sure if I'd be able to use it with the breakaway mold that I had from Michael's. But lo and behold it works perfectly! I'm SO happy with this that it's my new favorite tool! It accomodates my wavy cutter perfectly and makes straight, clean, uniform cuts! I'm now getting more bars per loaf and thus more money! LOVE this!! Only downside that I can see is that it's a little difficult to get the soap out, but it's really not bad at all. Very glad to have this! Thanks WSP! COMMENTS: This soap cutter is so easy to use! If you are like me and cannot cut a straight line, this is a MUST have. I use it with my straight edge as well as the crinkle cutter. Comes out perfect every time. "finally no crooked eye lol!" COMMENTS: I have the worst time trying to cut straight but this is the answer for me when I need to cut a loaf. Makes it almost fool-proof. I get great cuts and quickly too. COMMENTS: I use this with the wavy cutter and get perfectly cut bars (without cutting my fingers!). Definitely worth buying!! 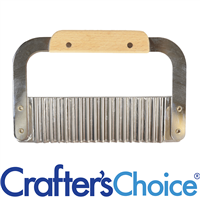 COMMENTS: this is a great tool for any soap maker. i love it! COMMENTS: The cutting lines make this so easy to use and all of my bars are even. I love it! COMMENTS: After messing up so many soaps, I finally decided to break down and buy a mitre box. I am certainly glad I did! It keeps everything straight so I can get a really professional looking soap every time. I also like the fact that this mitre box works with both the straight and wavy cutters. COMMENTS: I purchased 3 loaf soap molds before purchasing this mitre box, because I liked cutting by hand. But i finally broke down and got one because I knew i just couldnt cut straight enough. This is a life saver! Even when soap is mounded up on top uits easy to line up the knife and make a straight cut every time. "Why did it take me so long!" COMMENTS: This is the best tool in the world! Bars are even, prettier with the crinkle cutter, simple to use, cabinets, arms, and fingers are safe. I love that the edges are heavy and rounded so that you will not accidentally cut yourself. This is AMAZING! Every soaper needs one! "My Go To For Cutting Soap"
COMMENTS: This mitre box cuts straight and even soap bars every time. If you are a member of the crooked soap club get this to make your soaps straight. It cleans well with soapy hot water and dries quickly with no rust spots. I have had mine for almost four years and it works perfectly every time!!! "Accurate & Convenient - Awesome !!" COMMENTS: This item is awesome, I don't know what I would do without it, because I can't cut a straight line. 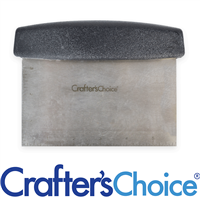 I use this Mitre Box to cut my 5 pound loaves of cold process soaps. My soap logs easily slide into the cutter. Cutter has a one inch mark to cut the soap bars. I use my crinkle cutter and regular straight cutter, both work great. Each and every bar is accurately cut. Item is very durable, easy to clean and store. A must have for any soap maker. No more wasting bars of soap because they were cut crooked. It is well worth the investment and will last a long time. COMMENTS: So easy to use for soap cutting. "Gives it a nice stable even cut"
COMMENTS: the mitre box is very convient to keep soap stablized and with the cutter, gives it a nice even cut.I love it. "A must have for cold process loaves." COMMENTS: I have struggled to cut even bars of cold process soap for a couple of years now. My last two batches before purchasing the mitre box were cut so uneven that I finally decided it was time to invest in the mitre box. I use the silicone loaf pans from Wholesale Supplies Plus so the size is perfect for my soap loaves. The cuts are nice and even which keeps me from putting 2 or 3 bars aside because of the uneven edges and uneven weights of the individula bars. I should have bought this a long time ago! • Keeps bars the same weights and sizes. COMMENTS: Before purchasing this box, I have cut my soap by hand and was never able to get a uniform shape. This product has made my life so much easier. I don't know why I waited so long. I should have purchased this right away. This is very easy to use and very well made. COMMENTS: Love this cutter! Makes nice clean cuts.Thanks for another great product! COMMENTS: WSP does it again! This tool is essential for any soapmaker. This is so simple to use, use it with the wavy or regular soap cutter's that WSP offers and you are ready to slice soap like a pro! So easy to use! COMMENTS: Really made things a lot easier! COMMENTS: I do get slightly curved bars occasionally but I think it makes the soap look more natural and handmade! COMMENTS: I was very impressed with the excellent quality of this Mitre box when I received it. "What are the dimensions of this Mitre Box?" Staff Answer The approximate measurements are 8.5" long, 3.75" wide and 3" deep. "Will this work with the small loaf mold?" Staff Answer You can use it with the mitre box but you will need to hold it carefully in place as it is much smaller than a regular loaf. "What is the width of the mitre box?" Staff Answer The inside measures approximately 3.75". "Would the mitre box allow soaps to be cut with crinkle and straight cutters?" Staff Answer You can use either the straight or wavy cutter in the mitre box. "Is there a box that fits the bars?" Staff Answer We do not currently have a box that fits these soap slices. If making CP, we do offer shrink bands, 102 x 102, which will shrink around the soap but leave the sides open. "What are the dimensions of the bars that you get after slicing? " Staff Answer The bars are approximately 1" thick. "What width bar does the cutter make? 1", 1.25" or 1.5""
Staff Answer The mitre box makes approximately 1 inch slices. "how many bars do you get using the mitre box? " Staff Answer You would get approx. 8 - 1 inch slices with soap made in the CC regular loaf mold. "What is the approximate weight on the bars that these will produce? I'm looking to use it with Goat's Milk M&P." Staff Answer This mold can hold between 40-44 ounces of soap. If your loaf weighs 40 oz, your slices should be approximately 5 oz. each. If the loaf holds 44 oz, then the slices should weigh approx. 5.5 oz.